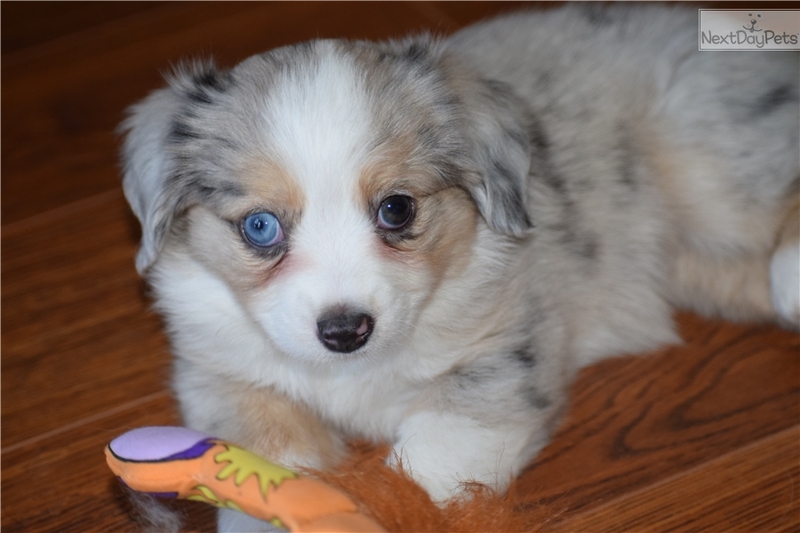 Stunning Blue Merle Female! She is very affectionate and has a very nice temperament already, like her dam and sire. 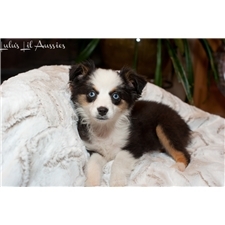 Her dame is our Lulu's Lil National IABCA Champion “Hey Jude”; a 13.5" blue eyed black tri with a full wide collar. 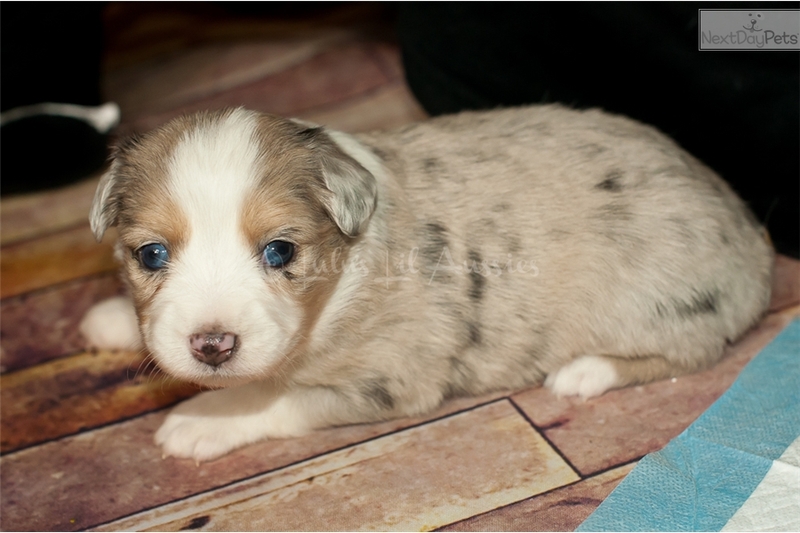 Sire is our Lulu's Lil Champion "Shiner" a blue eyed, blue merle. 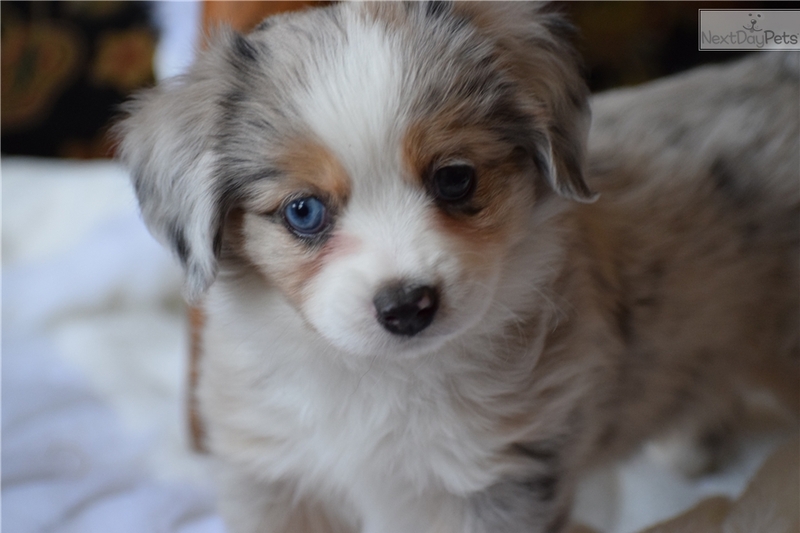 Both come from strong Blue Eyed Tri lines. This darling pup has had her tail docked and dew claws removed.This stunning puppy is ASDR registrable. 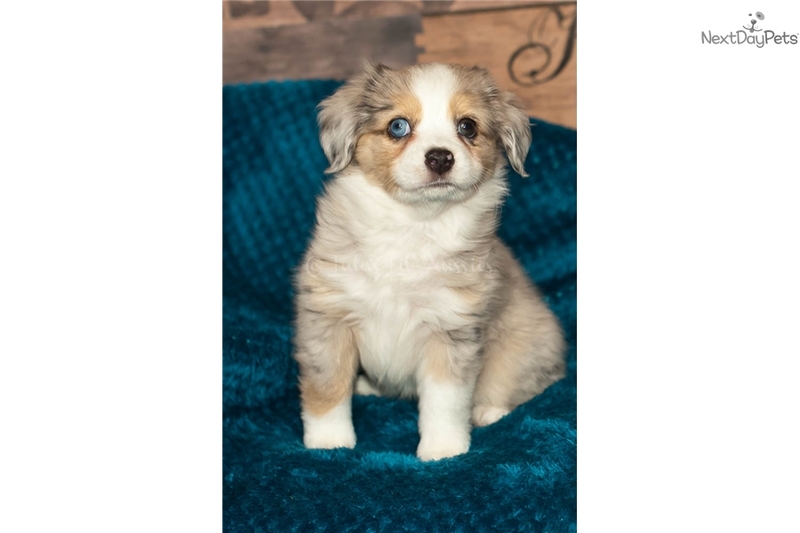 I offer a full health guarantee and our dams and sires are tested; which ensures you receive a healthy puppy and a life-long companion for you and your family. All of our puppies and adult dogs are raised in our home and receive a lot of daily attention, stimulation, and training. 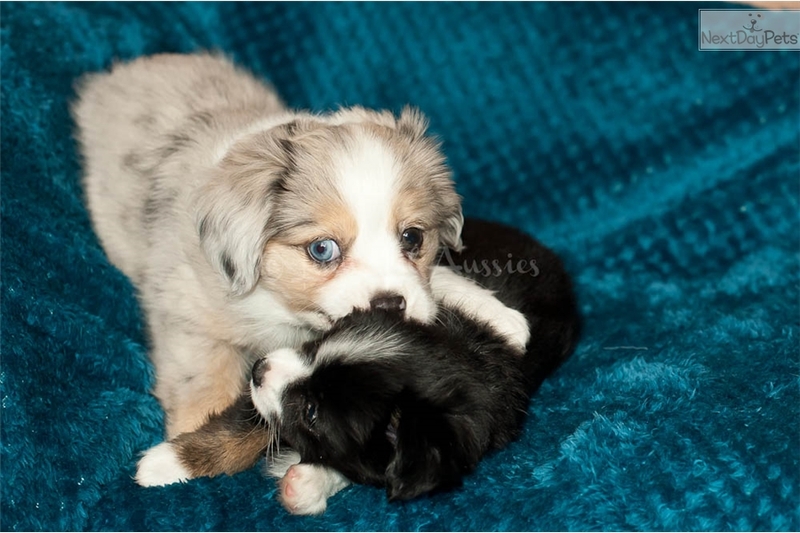 Our puppies are hand delivered to you by our pet nanny who reduces stress and fear in your puppy’s travel experience. 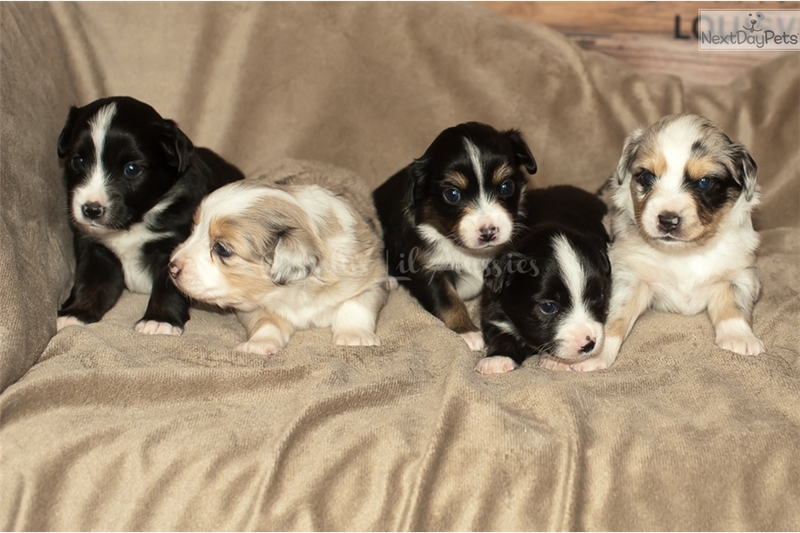 We also send a homemade blanket that smells like their mommy and litter mates to help ease their anxieties. 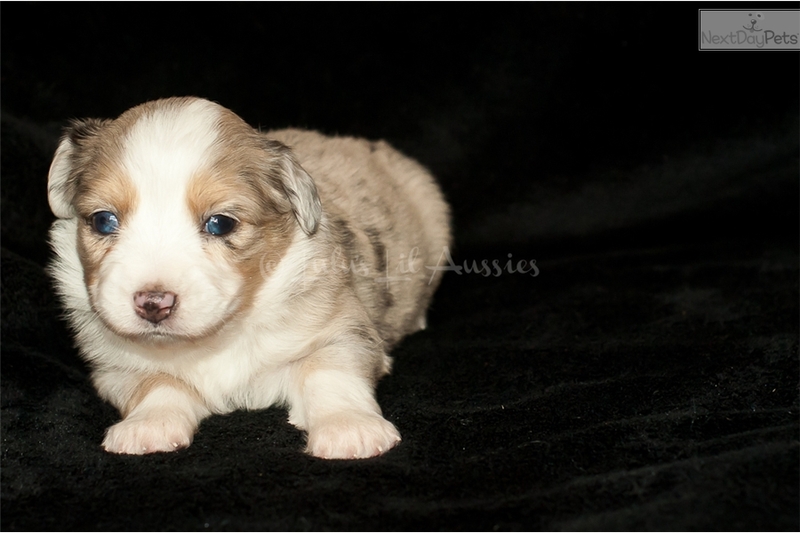 I would love to talk to you about this fun little gal as she is ready for her furever home in the coming weeks. Please don’t hesitate to Call/Text Melinda Lu at 801-673-5883 if you have any questions. Follow us on Twitter, Facebook, Instagram, and Tumblr for updates.